For the love of family and the foundation of faith. St. Paul's Family FallFest is our annual, Christ-centered, COMMUNITY-INCLUDED celebration of the Reformation. This event is characterized by fun fall activities, interactive faith elements and of course, TRUNK OR TREAT! 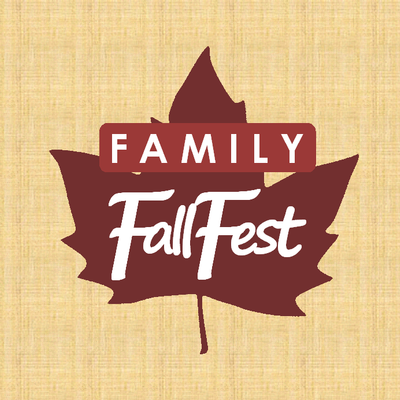 Family FallFest 2018 is bound to be BIGGER and BETTER than ever with this excellent schedule of family-friendly events. Check out what's included below. First 50 to sign up will receive a FREE FallFest T-shirt! Follow the link to confirm your T-shirt size! One last shot to Trunk or Treat, play games, paint pumpkins and make it through our GIANT HAY MAZE! Make sure you catch the last hay ride at 4:45pm! FALLFEST ENDS - Come together as a group for a final good-bye and thank-you! Questions? Contact DCE Emma Auger at dce@stpaulsmarioniowa.org. This event is sure to be a blast, and we would love for you to be there! Family FallFest - Like our page! Sign up for specific events and get more information about FallFest Relays by following the link to our Facebook page! "Like" for consistent updates!